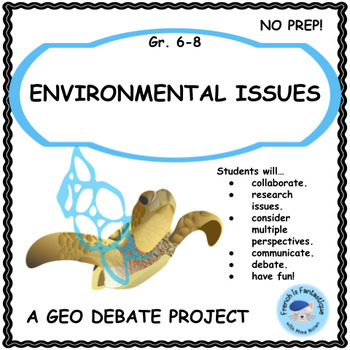 This Geography/Social Studies debate project will challenge your middle school students to look at environmental issues through the lens of a geographer. 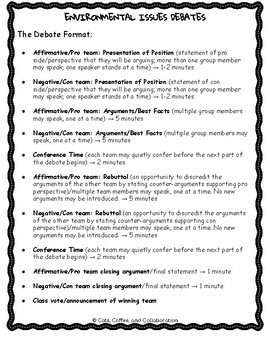 They will brainstorm issues, conduct research, look at the issues from multiple perspectives, and debate against their peers as a means of demonstrating their learning. This project is engaging and relevant. 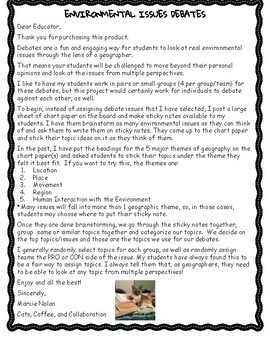 Just print and use this project in your classroom today! Why debate these issues? 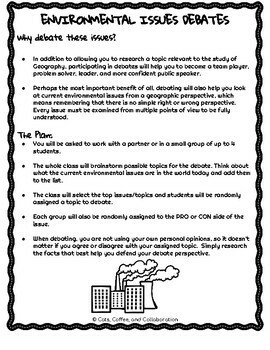 The plan for this project. Thank you for purchasing this product. Please take a minute to rate it. You will receive free TpT credits to use on a future TpT product purchase, and I really appreciate your feedback.